Audience development. It’s one of those ubiquitous phrases that we, in venues and theatre companies of all shapes and sizes, are (rightly) obsessed with. It’s clumsy, vague, a touch vacuous and largely esoteric – but it’s full of good intention and promise and, at present, it’s the best we’ve got. In practice, as a venue, it normally means we try to engage (another great word) and attract people to a show or shows through specific, targeted communication and activities. For example, with Paines Plough’s amazing Roundabout project, we work with a local volunteer board to programme community events in the theatre alongside the Paines Plough plays with the hope that those coming along may, after experiencing such a special space, be tempted to stay for a show. Or with Unlimited Theatre’s brilliant gig show Am I Dead Yet?, for which we invited health professionals to join us for a ‘death cafe’ – talking about death over tea and cake – giving us an opportunity to break down any barriers to such a difficult subject. These activities, for the Lowry at least, involve a much more personal approach and as such it is ‘resource heavy’ (needs time and money). It’s a lot of effort for a relatively small reward. 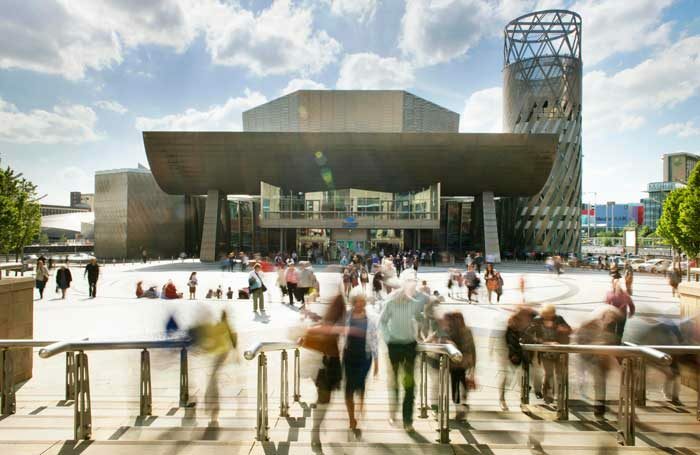 Every new audience member coming to the Lowry for the first time or to a show they wouldn’t normally see is hard won. This may all be viewed as marketing, pure and simple. It’s not. As a programmer, I have an equal responsibility to find an audience for the work we present and increasingly I am trying to find programming solutions to audience development challenges. This is how WTF and Hush Hush were born. The former (which started as Weird Wednesday) came out of a conversation with theatremaker Jamie Wood about marketing challenging work – shows that bend form and defy description and often have as much in common with live art and dance as with a conventional play. Why bother trying to communicate what these shows are about, when to most of the theatregoing population they are just plain weird. Why, we reasoned, not tell them it’s weird and ask them to come anyway. We must be honest – they may not like the show but that doesn’t mean they can’t give it a go and enjoy the experience. Combined with our first foray into ‘pay what you decide’, removing another potential barrier to experimentation, this approach has been a great success. So far, I think we have succeeded in ‘developing’ audiences who otherwise may not have attended if they were tasked with paying up front for a show they knew they might not like. Attendances have increased by half with pre-show reservations even higher – as it’s free to book we get a fair bit of drop off. What is interesting is that, according to feedback, people are attracted more by the WTF concept than the fact it is PWYD. Food for thought. Hush Hush has been even more remarkable. Our ingenious marketing team has, much to its chagrin, managed to succeed in selling a show by actively going out of their way not to sell it. We have told no one about it, they don’t even know that the show will be a surprise, yet each event is full to capacity. This may seem like a gimmick, and it is, but it’s fun, engaging and was born of a genuine desire to attract people to try something new. I hope that both WTF and Hush Hush will ‘develop’ audiences effectively. We haven’t changed the shows we are programming, just packaged them in a friendly, identifiable way. WTF will appeal largely to audiences who like theatre already, to stretch their own boundaries. Hush Hush will be attractive to those who like a good night out. We’ve run one event so far and the results are promising. But can we retain their interest and patronage? That will be the proof of the pudding.